mediterannean, middle eastern, and american fusion. 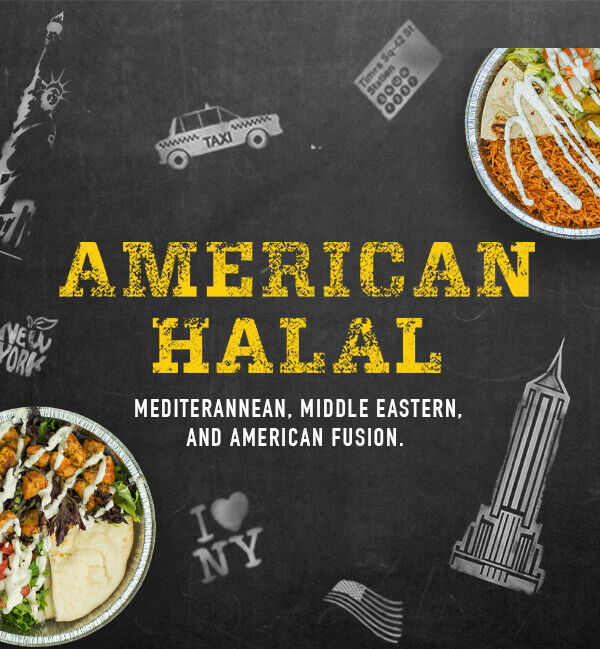 American Halal combines mouth-watering Meditterranean flavors, savory Middle Eastren spices and classic American style to create a delicious and healthy eating experience. We’re glad you asked! Imagine Kosher, but with cheese! Halal food and meats are sourced and prepared following Islamic dietary guidelines to ensure not only highest quality but also the humane treatment of animals they come from.  Spin Sauce is Certified Halal by The Islamic Food and Nutrition Council of America. To learn more about IFANCA please click here. 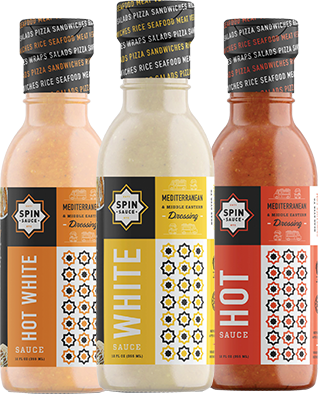 At Spin Sauce, we believe you don’t have to compromise flavor to be health-conscious and socially conscious. This is why we have partnered with Zam Zam Water. Our contributions to this organization help them build orphanages and provide clean, sustainable water in underprivileged countries.